Join us for a multi chamber event at Service Credit Union in Lebanon, New Hampshire. 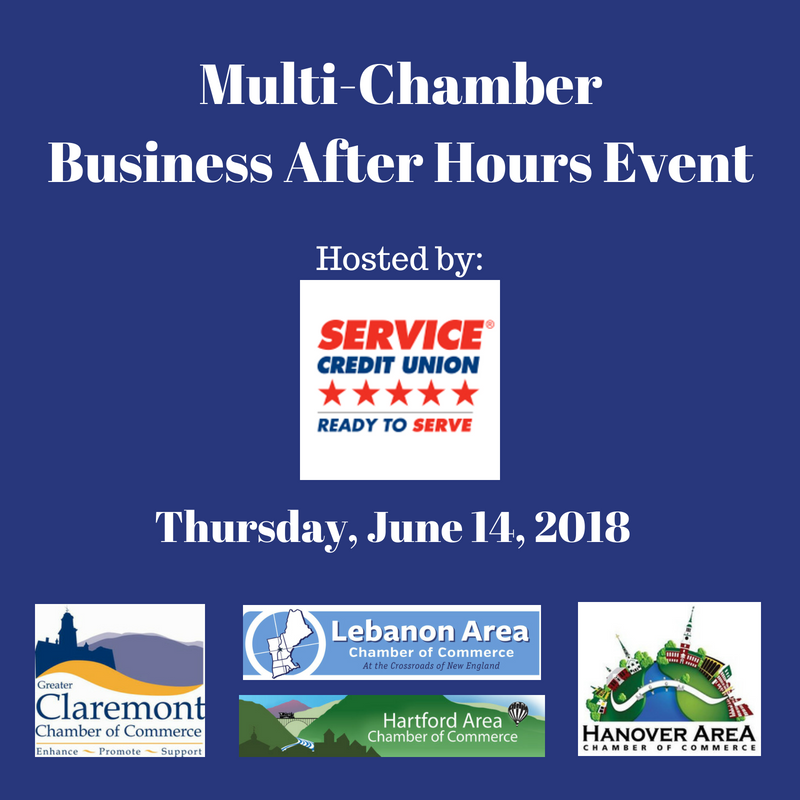 Service Credit Union is hosting the Hanover, Lebanon, Claremont and Hartford Chambers of Commerce for a Business After Hours on Thursday, June 14th. Join us for refreshments and seasonal farm to table appetizers from Market Table in Hanover. Promote your business, make the right connections, and enter to win one of many great raffle prizes including tickets to the 39th Annual Quechee Hot Air Balloon Craft and Music Festival! We will also be giving away Balloon Rides! Click the Blue Register Button and then the nonmember option to register. If you have any difficulties registering please email or call (603) 543-1296 the Claremont Chamber Office.